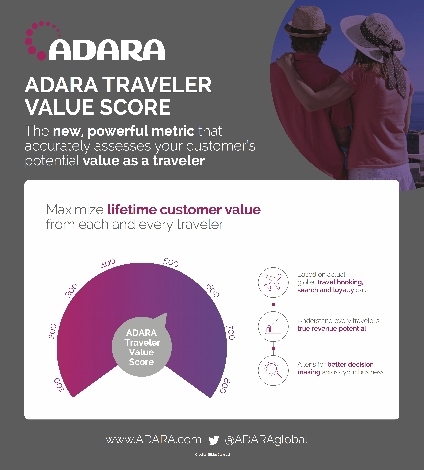 Travel data platform Adara has unveiled its Traveller Value Score, which it says is the “first-ever metric that measures the potential value of a customer based on their travel spending over time”. The data comes from Adara’s “unique access to billions of search, booking and loyalty data points” from more than 90 of the biggest travel companies worldwide including airlines United, Delta and Rynair, hotel companies Hyatt and Marriott and Hertz car rental. These data points from airlines, hotel companies and car rental companies are then aggregated to “create and power a comprehensive view of travellers, based on a diverse set of travel related planning and booking behaviours.” The company then comes up with a single number that represents a customers’ capacity to spend on travel. Analyzing customer acquisitions by applying the score across referral channels – search, OTAs, metasearch, display, email – to determine which delivers the most valued customers.